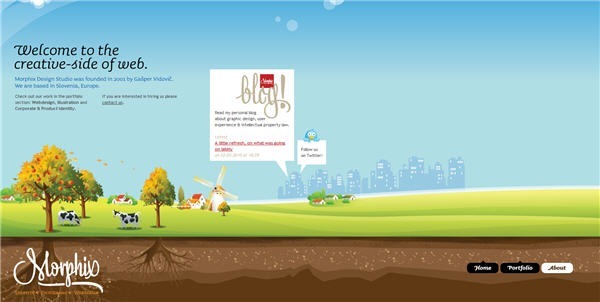 So letâ€™s take a look at a number of sites that are showing artful work with their backgrounds. 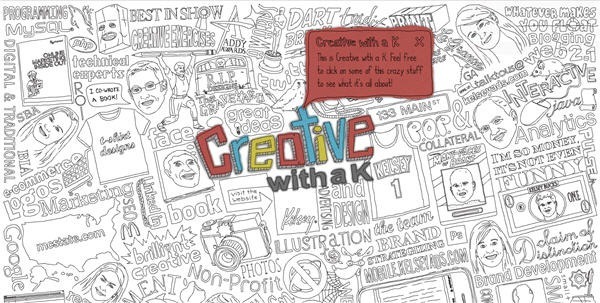 Some of these sites are personal portfolios of designers and illustrators, some are for larger companies but all of them are interesting to look at. Creative With A K is a flash-based web site with a busy, busy background which gives the impression of a sketchbook page. The line drawings fill the entire background and are also part of the navigation. 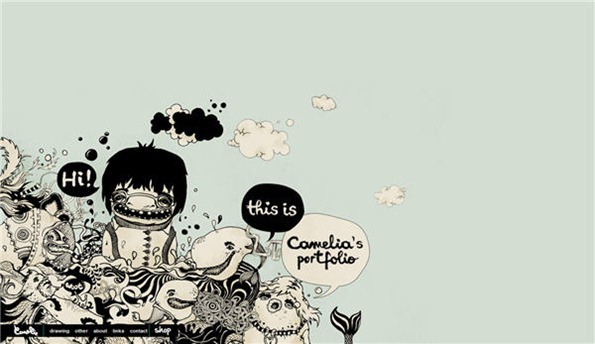 Camellie is a portfolio web site and features the artistâ€™s drawings in the bottom left of the background. The drawings are static and stay in place as you navigate through the site. The Morphix home page features a vector style drawing of a scene of country life with the big city off in the distance. It conveys a nice sense of harmony. On each refresh of The Big Chill web site, youâ€™ll find a different brightly colored, loosely drawn background which gives a fun feel to this festival site. The Noel Design site has a tactile feel thanks to the use of paper cut-out drawings. 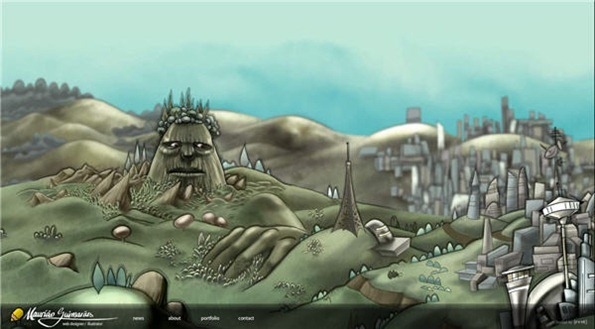 Mauricio Studios has a stunning flash site which scrolls beautifully show off a pretty big background image. This one really is a treat for the eyes. Jetset has a lovely illustrated border which remains in place as you navigate through the site. At the moment Magnivate has a â€œComing Soonâ€� page featuring some nice watercolor artwork in the background. Check out their old site (the link is on the coming soon page) because that also includes some lovely character drawings. Ozhan features a gentle Japanese scene on each page. Absolutely stunning work from Indofolio.com. Itâ€™s another flash site but the background illustration combined with the movement of the waves as you navigate is really beautifully done. 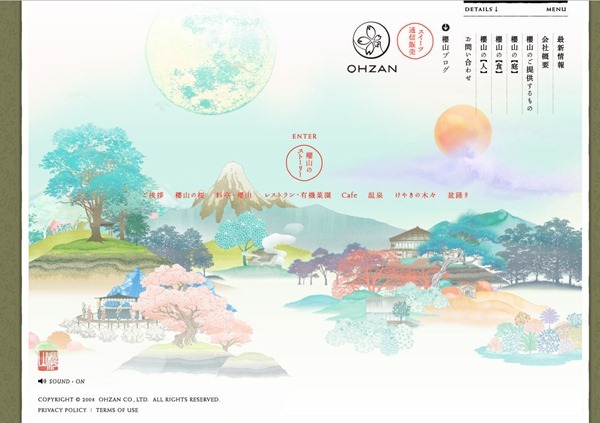 What do you think of the artistic backgrounds used in these sites? Is it a style you like?